It is no secret that 2017 was a rather forgettable year for young star Simbu. His much-hyped June release Anbanavan Asaradhavan Adangadhavan turned out to be a dud at the box office and failed to impress critics. In fact, the response was so terrible that the makers were forced to cancel its sequel. To make matters worse, shortly thereafter, the producer accused him of unprofessional behaviour and claimed to have suffered monetary losses because of him. 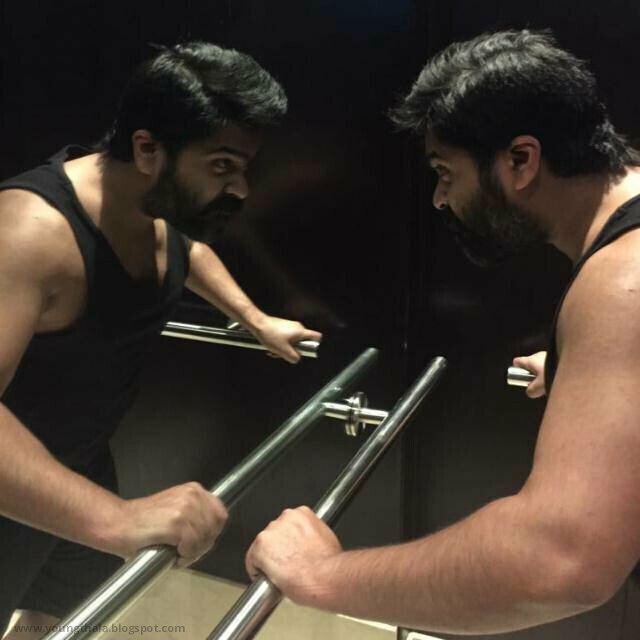 Responding to these accusations, STR had said that such negativity could not stop him from entertaining his fans. With 2017 in the past, Simbu is working on his next film Chekka Chivantha Vaanam. The film is a Mani Ratnam directorial and will feature STR in a new avatar. As it so happens, the star is working on his fitness and has transformed himself quite remarkably. In his latest gym pic, he can be seen in a beefed up avatar that he carries of like a boss. His intensity is hard to miss and he surely means business. So, will Chekka Chivantha Vaanam help STR get his career back on track? Tell us in the space below.